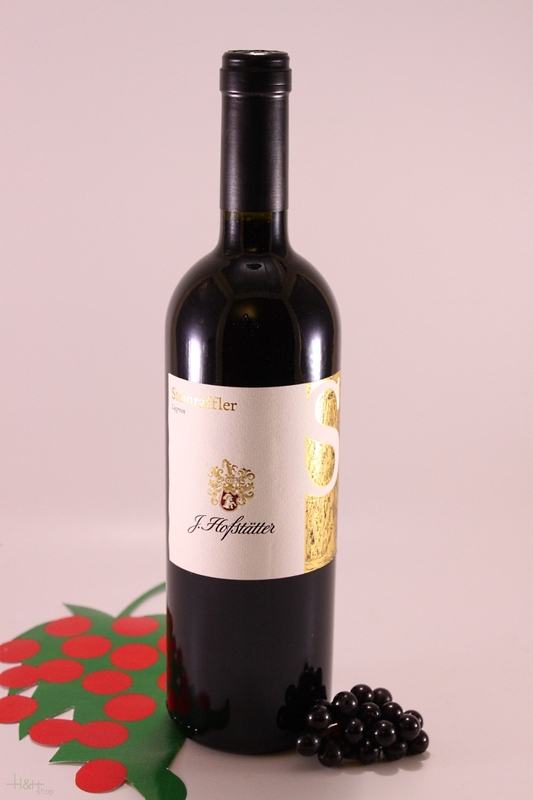 Grape variety: Lagrein - Alto Adige DOC. Our Steinraffler estate provides near perfect conditions for this native South Tyrolean vine to thrive. In 2015 we set apart a portion of these vineyards to re-introduce a variety which had almost become forgotten in Alto Adige|Lagrein with short grape stems, grafted onto low vigour rootstocks and trained using the guyot trellising system. For us, the return of this old variety has symbolised a happy marriage between tradition and innovation. Wine-making: On arrival at the winery the bunches are lightly destemmed, and after a brief maceration the must is fermented together with the skins for approx. 10 days at a temperature of 28 °C. In the final phase the temperature is allowed to rise in order to extract as much colour and flavour as possible. Organoleptic characteristics: This is a wine of unusual contrasts - on the one hand full-bodied and concentrated while on the other, time and again tasters are surprised at its positive rusticity combined with elegance. It is enormously deep in colour, dark garnet and almost black in the centre. Earthy, mineral and spicy on the nose, the fruit initially lurks in the background, then develops to reveal a complex aroma of ripe black plums. The spiciness follows through on the palate with the assertive complex mineral character once again emerging on the finish. Goes especially well with: Saddle of roe-buck accompanied by potatoes, beetroot and blueberry sauce - it is an experience which shows the measure of this wine's enormous power and potential. Polenta with chanterelles - gastronomic speciality on the basis of cornmeal and additions. cook for 4 minutes and the dish is ready.